About seven years ago Oldboy director Park Chan-wook was attached to do a Western, which was pretty cool in and of itself. Titled The Brigands of Rattleborge, it featured a script by Bone Tomahawk and Brawl in Cell Block 99 writer/director S. Craig Zahler, before he became known for those ultra-violent flicks. The project never went anywhere, but potential like that doesn't just disappear and Amazon has come to its rescue with a few changes. Newly-titled The Brigands of Rattlecreek, the film has been revived over at Amazon Studios with Chan-wook still on board. 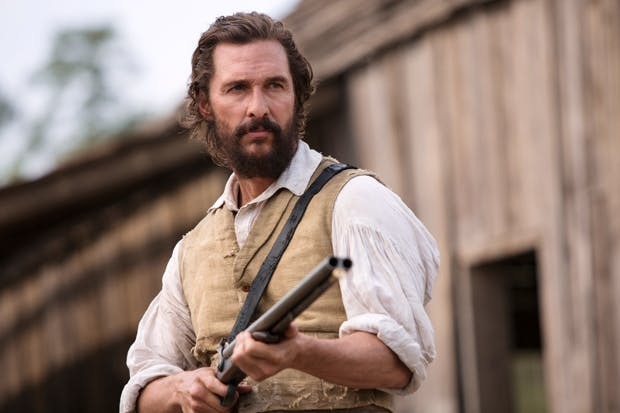 But Collider adds that Matthew McConaughey is being sought to star in the story of a local sheriff and a doctor who team up to revenge on outlaws who are using the cover of a torrential rainstorm to terrorize a small town. Assuming the McConaughey deal goes through, another A-list actor will be sought for the other lead. This is pretty exciting, as it is any time Chan-wook gets behind the camera. Stylistically he's a director who always puts everything out there, as he did with 2016's wild The Handmaiden. He also doesn't make very many movies for American audiences. The last one being 2013's Stoker, and he also had a hand in producing Snowpiercer that same year.